Detroit - A dead tree is covered with teddy bears and topped with shopping carts (used by the homeless in the city). 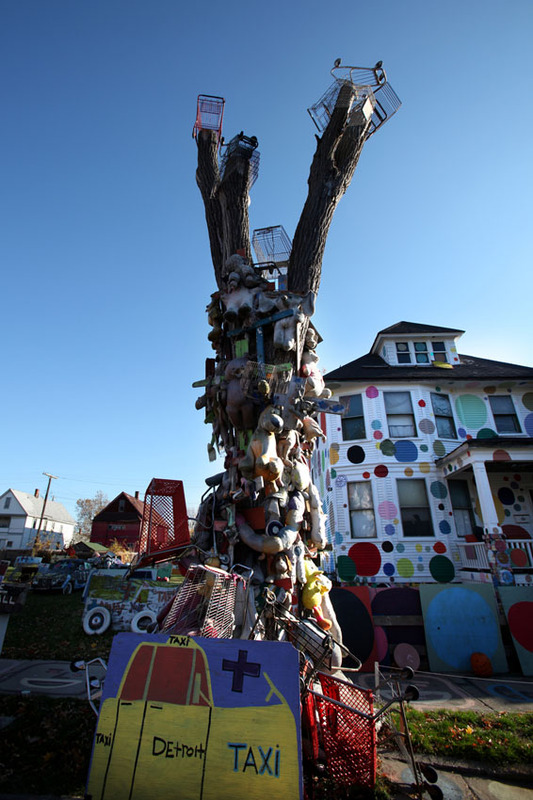 The Heidelberg Project was created in 1986 by artist Tyree Guyton. This house is the house where he grew up as a child. It was the first house he painted with polka dots and turned it into an artwork.